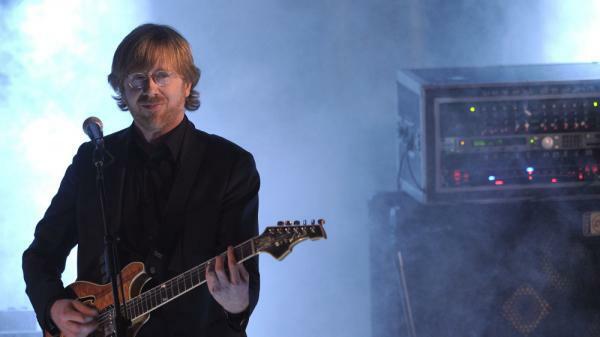 Trey Anastasio was still in college when he formed Phish, which played its first official gig at a ROTC dance in 1983. It was a modest start for a band who would go on to sell eight million records and play thousands of live shows to devout fans. In 2000, the whole band stopped by World Cafe to promote Farmhouse, and played an extended version of "Gotta Jibboo." Anastasio also recorded a solo session from 2005, in which he discussed improvisation, Phish's short-lived breakup in 2004, and the ways substance abuse played a role in the group's demise. Best known as a founding member of The Grateful Dead, Bob Weir has played thousands of shows and released more than 130 albums, and is recognized as a counterculture icon. Since The Grateful Dead disbanded in 1995, Weir has played primarily with both RatDog and The Other Ones, and visited World Cafe in 1998 with Rob Wasserman to talk about RatDog's creation. Widespread Panic has followed in The Grateful Dead's footsteps by boasting a devoted following, a love of improvisation and wildly eclectic live performances. In this 1993 session, the band plays "Wondering" and "Picking Up the Pieces" in the World Cafe studio. This segment originally aired on October 27, 2011.